Health is a concern of every individual and organization. So, different organizations and agencies are involved directly or indirectly in the health providing system of the country. The role played by the different organizations for providing health services are appreciable, but still, there is ground to improve their services. There are many government and non-government organizations involved in the health services providing systems. Nepal Paropakar Association established on 5th September 1947 by Daya Bir Singh Kansakar with the help of a group of volunteers . They started forming voluntary groups from 1946. It is the first non-governmental philanthropic organization in Nepal. The central office of this organization is situated at Bhimsenthan in Kathmandu. The organization has its branches in other districts as well. Nepal Anti-Tuberculosis Association was established in 2010 B.S. by 10 volunteers. In 2022 B.S. after tripartite agreement with the Government of Nepal ,WHO and UNICEF it has been working nationwide. It also works for preventive measures like BCG vaccination and care finding. This association started with German Nepal Tuberculosis Project (GENETUP). It also started Directly Observed Treatment Short Course (DOTS). Family Planning Association of Nepal was established in 1959 A.D. (2016 BS) in the initiation of volunteer physician and started its service in collaboration with the American institution Path Finder. It has got membership from International Planned Parenthood Federation (IPPF) in 2026 B.S. It has its central office at Pulchowk, Lalitpur. It provides its services in family planning and MCH. It has its slogan "Small Family-Happy Family". Nepal Leprosy Relief Association was established as an NGO in 26th Asar, 2026 BS. Its head office is in Maharajgunj, Kathmandu and it has its branch offices in all 5 Regional Developmental Zone of the country. Nepal Red Cross was established on 4th September 1963. "Jaha Dukh, The Redcross [Where there is sorrow, there is Red Cross" is its motto. It has actively participated in various humanitarian services and activities in society. The head office ofNepal Red CrossSociety is inRed CrossMarg, Tahachal, Kathmandu. 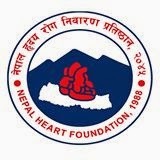 Nepal Heart Foundation was established in 2045 B.S.in order to control and prevent the increasing problems of non-communicable diseases, especially heart diseases like BP, high level of cholesterol, diabetes, heart attack, etc. It has its central office in Kathmandu and branches in many districts. It has conducted various activities for the diagnosis, treatment and control of heart diseases. Martyr Gangalal Heart Heart Centre was established with its initiation. Nepal Paropakar Association was established on 5th September 1947 by Daya Bir Singh Kansakar. Nepal Anti-Tuberculosis Association was established in 2010 B.S. by 10 volunteers. In 2022 B.S. after tripartite agreement with Nepal government with WHO and UNICEF it has been working nationwide. Family Planning Association of Nepal (FPAN) was established in 2016 and got membership from International Planned Parenthood Federation (IPPF) in 2026 B.S. Nepal Leprosy Relief Association was established in 20th Asar, 2016. Nepal Red Cross Society was established on 4th September 1963. What is the name of the treatment system of tuberculosis that is very successful in Nepal? DOTS is the name of the treatment system of tuberculosis which is very successful in Nepal. What is the full form of DOTS system of tuberculosis treatment? The full form of DOTS system of tuberculosis treatment is Direct Observation Treatment System. When was the Nepal Paropakar Association established? Nepal Paropakar Association was established on 10th Asoj 2004 BS. When was the Nepal Red Cross Society established? Nepal Red Cross Society was established in 2020 BS. When was the Nepal Family Planning Association established? The Nepal Family Planning Association was established in 2016 BS. When did the Nepal Family Planning Association get the membership of the International Family Planning Association? The Nepal Family Planning Association got the membership of the International Family Planning Association in 2026 BS. What percentage of the Nepalese were expected to use family planning measures by the end of tenth five year plan? About 50% of the Nepalese were expected to use family planning measures by the end of the tenth five year plan. Who is the founder of Red Cross society established? Jean Henry Dunant, a French philanthropist, is the founder of Red Cross society. Mention a major function of the Red Cross Society? Blood transfusion is a major function of the Red Cross Society. What are the activities adopted by Nepal Anti-tuberculosis association? What are the objectives of Family Planning Association of Nepal? To help couples to plan the number of children. To co-operate in protecting and promoting maternal child health. To serve and counsel the people to have children who are willing to have them. To conduct mobile family planning clinic in different place. What are the policies of Nepal Leprosy Relief Programmes? The number of leprosy patients are reduced less than one percent. Leprosy patient are diagnosed in early stage so that deformity and damage in body organs can be prevented. Health education is made available to all the communities to make them aware about the leprosy so that it can be cured. What are the objectives of 9th five year plan? To produce healthy manpower for the potential development and to eliminate poverty through economic upliftment. To control the population growth rate by explaining the family planning services. To expand health services to promote people's health status. To provide preventive, primitives, curative and rehabilitation health programmes. Write any 3 major objectives of Family Planning Association of Nepal. To launch the family planning and maternal child health care programmes in local levels. To launch the family planning and maternal child health care programmes by using modern technologies. To reduce the birth rate by advertising the use of temporary and permanent methods of family planning and spreading of contraceptive devices. What do you know by promotive and preventive health services? What are the objectives of the Family Planning Association of Nepal? Promotive health services are those measures applied for bringing out improvement in the current status of health of the people. Maternal child health care, communicable diseases control programs, etc. are the examples of promotive health services. Similarly, preventive health services are those measures applied for preventing various diseases and health risks. Provision of safe drinking water, awareness about hygiene, vaccination and immunization, etc. are such programmes that come under preventive health services. To co-operate in protecting and promoting maternal and child health care. To serve and give counseling to the people to have children in limited number. To conduct mobile family planning clinics in different places. The full form of NGO is ______. The full form of NATA is ______. The full form of DOTS is ______. The full form of FPAN is ______. Paropakar Adarsha Secondary School was establish in ______. Who was the founder of Nepal red Cross? present condition of Nepal Red Society. Any Questions on 'Other Organizations and Institutions of Nepal '?